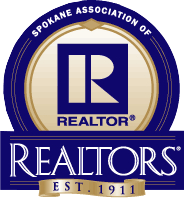 The National Association of REALTORS® adopted the Code of Ethics in 1913 following the professions of medicine, law and engineering. The Code of Ethics is a detailed document spelling out the professional responsibilities of every REALTOR®. The Code is your assurance of dealing with a professional having your best interests in mind. FILING ETHICS COMPLAINTS: Ethics complaints are filed when one individual (either a REALTOR® or the client of a REALTOR®) feels that another REALTOR® has violated the Code of Ethics through their conduct. Ethics complaints are intended to educate REALTORS® about unacceptable conduct and are not intended for any financial gain.